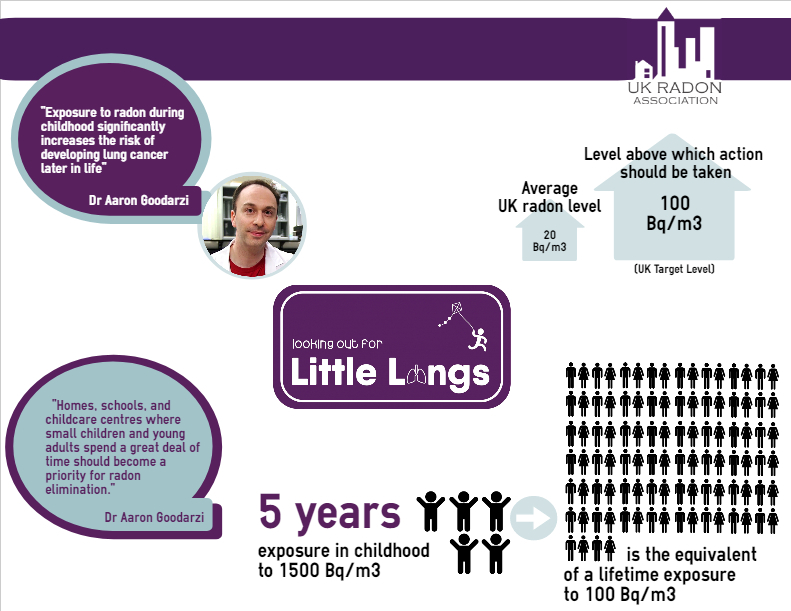 Exposure to radon gas is the leading cause of lung cancer in non-smokers and is responsible for over 1100 deaths in the UK every year. High levels of radon can be found in buildings of any type, size or location with occupants unaware of the potential danger unless a specific test has been carried out. The theme for the 2018 campaign is Healthy Living with the focus being on raising awareness of how radon can affect you in all aspects of your life, from your home to your workplace. Testing for radon is simple and inexpensive. Radon detectors can be purchased online from a variety of suppliers which will be posted out along with instructions for use. At the end of the test period, detectors should be returned to the supplier so analysis can be carried out at a laboratory that is validated by Public Health England. Under health and safety legislation, an assessment of radon should be carried out as part of every employer’s workplace risk assessment. This includes establishments on the high street, schools, nurseries and other buildings such as sports centres and libraries given there are employees working in these buildings. This requirement is often overlooked due to a lack of awareness of radon. The UK Radon Association is aiming to raise awareness of radon, from the general public to employers, healthcare professionals to those in the construction industry. An increased awareness of radon will lead to a reduction in the number of avoidable lung cancer cases claiming lives each year. Radon Awareness Week is running from 5th – 11th November 2018. Join in the discussion online, visit our Resources page to view & download a range of posters, leaflets, infographics and videos to learn more about radon. Follow us on Linkedin, Twitter , #Radonaware and keep up to date and join in the discussion. Here you can view and download a series of resources with key information about radon gas, which are ideal to share amongst friends, family and colleagues.